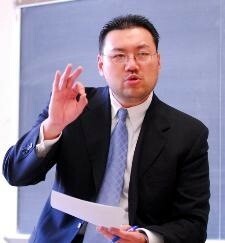 The Asian/Asian American Studies Institute is pleased to announce that UConn Stamford Campus Director and Professor of English Terrence Cheng is an Affiliate Faculty member. Author of two novels Sons of Heaven, 2002 and Deep in the Mountains, 2007, Terrence Cheng received his BA in English from Binghamton University (State University of New York), and his MFA in Fiction from the University of Miami, FL, where he was a James Michener Fellow. His short stories and essays have appeared in Glimmertrain, Nimrod, The Chronicle of Higher Education, The Georgetown Review, and other journals and collections. In 2005 he received a Literature Fellowship from the National Endowment for the Arts. Prior to his appointment at the University of Connecticut, Professor Cheng also held senior administrative positions at Lehman College and Brooklyn College, both part of the City University of New York.